Shape and construction of local garments kept me occupied for quite a long time now. But I’m not really convinced of the way the upper parts of our traditional kirtle-dresses (“Dirndl”) are sometimes made nowadays – too soft and hence ill fitting. 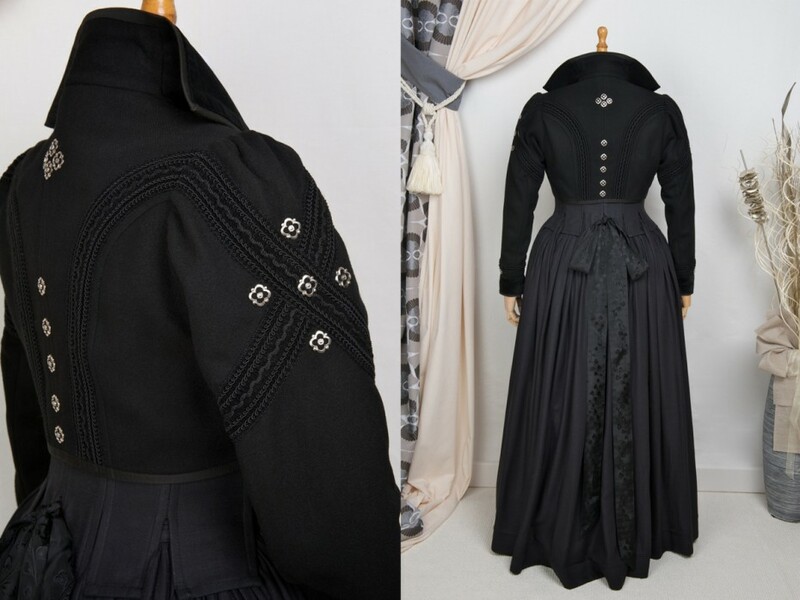 So, I concepted this garment — made from black herringbone linen — as a three-piece, consisting of a skirt, apron and laced bodice instead of the usual twopiece, consiting of a kirtle and apron. 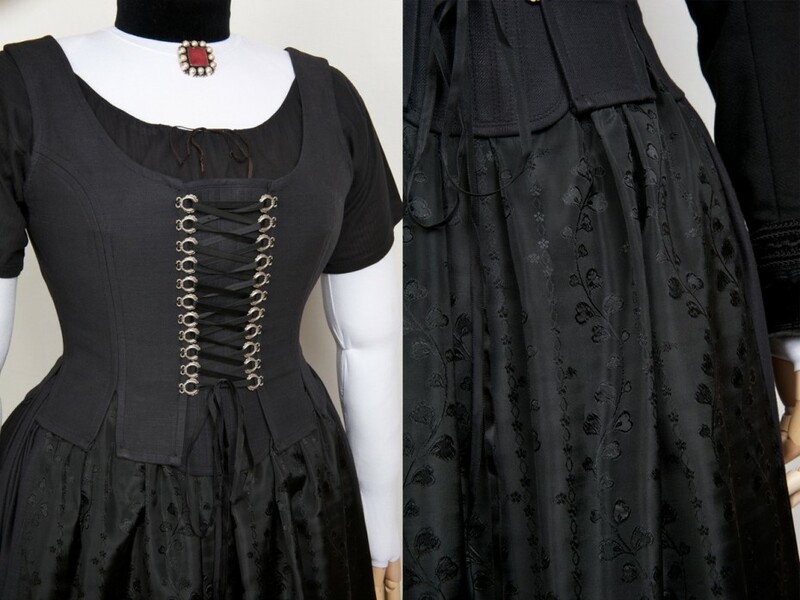 The bodice sports metal boning along all seams and is laced in front over a boned stomacher. A long shift, made from historical patterns, is worn underneath. The apron is made from at least 60 year-old rayon – a flea market find, it was rolled up on a newspaper dating from 1945. 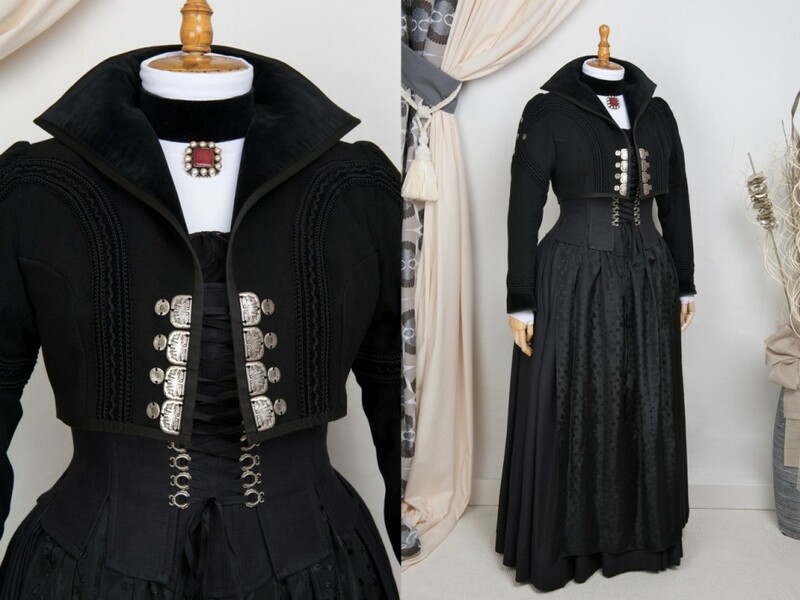 The short jacket is made from thick woolen cloth and cotton velvet, unlined and may be closed, if needed, with tiny hooks and eyes.